Handy commercial wet & dry vacuum cleaner with patented fully automated filter back flushing (TACT System). The system allows the pick-up of huge quantities of fine dust with constantly high suction performance and without interruption of work. 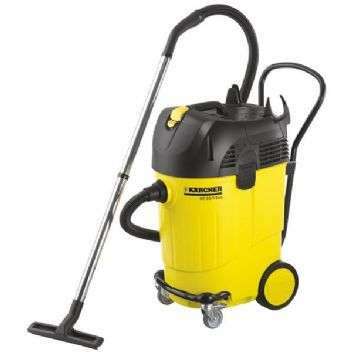 Wet vacuum cleaner for the absorption of liquids without change over from wet to dry operation. Auto shutdown when max level is reached. Standard Accessories: Castor with brake, TACT Filter Clean, Safety class II, Suction hose with bend, Metal suction tubes, 2 x 0.5 m, Suction hose 2.5m, Wet and dry floor tool 300mm, Flat pleated filter, Crevice tool, Filter bag Paper.